Perth city – The capital of cool: New attractions, accommodation, wining and dining offerings, cultural and entertainment precincts are continuing to change the face of Perth.You can easily experience all of Perth’s ‘must sees’ and ‘must dos’ in as little as five days, including the panoramic views from Kings Park, Fremantle history, Rottnest Island’s beautiful beaches, Western Australia’s oldest wine region – Swan Valley, and the dolphin playgrounds of Rockingham and Mandurah. Go discover what makes it one of the world’s most liveable cities.Don’t leave Perth without making taking your Instagram-worthy shot at the Crawley Edge Boat Shed and explore the eclectic buzz at Yagan Square and Perth’s dining scene. Take that road trip of a lifetime! 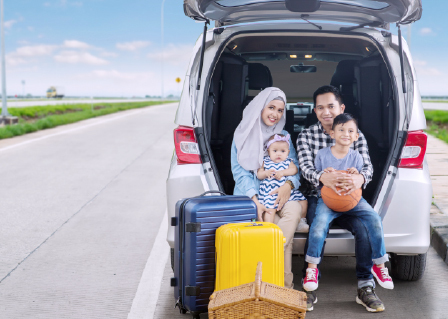 You can easily spend 3 days exploring the city but if you have more days to spare, take a road trip down south, only 2.5 hours out of the city starting from the town of Bunbury, Busselton, Margaret River, all the way to Albany the southernmost tip of Western Australia. 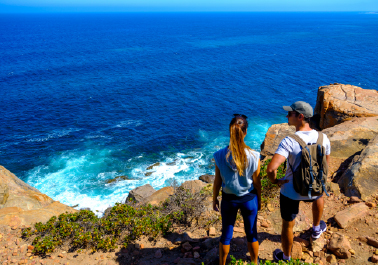 Whether you’re a professional hiker or just someone who loves nature, the Cape to Cape Walk is something you should do when in Margaret River. Designed to bring people in close contact with the environment, the track mainly follows the coast, alternating spectacular sweeping cliff-top views with stretches of pristine beach. 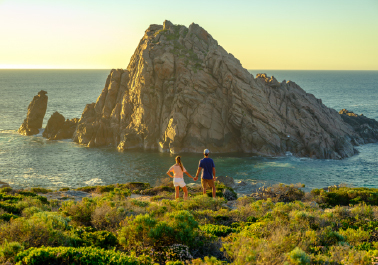 One of the most photographed seascapes in Western Australia, Sugarloaf Rock is in the Leeuwin-Naturaliste National Park. This impressive rock formation dominates the coastline near Cape Naturaliste. 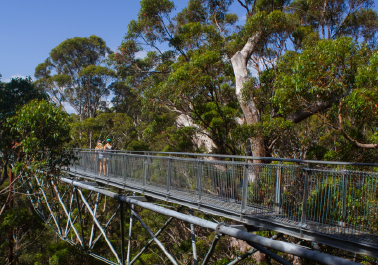 The Valley of the Giants Treetop Walk gives you a bird's eye view of some of the tallest timber giants on Earth - Western Australia's majestic tingle trees. Climbing 40 metres into the forest canopy and meandering through the treetops for 600 metres, the walk trail is the first of its kind, designed to maximise views and minimise impact. It takes approximately 3 hours to drive there from Margaret River. 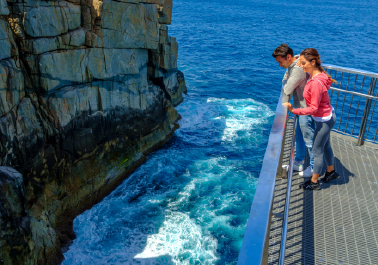 Visitors to the Gap can venture onto a universally accessible new viewing platform 40 metres directly above the surging seas in all but the worst weather conditions. Lookouts at both the Gap and Natural Bridge provide outstanding views of the Southern Ocean and the coast from Bald Head to West Cape Howe. 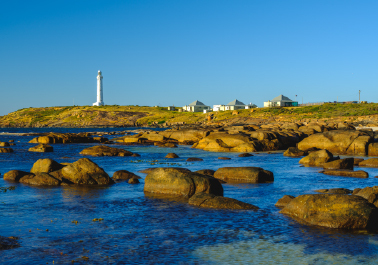 The Cape Naturaliste Lighthouse, near Dunsborough and Cape Leeuwin Lighthouse, near Augusta stand as guardians of the oceans, tall and dignified. Enjoy breathtaking views across the treacherous oceans.Yallingup Maze is a great destination to spend a few hours in Western Australia’s south west. It's a place all ages can be entertained and a place you will want to return. Challenge yourself, your family, your friends! Timber maze with towers and bridges. You can marvel at the reflections on Lake Cave’s permanent lake, be dwarfed in Jewel Cave’s enormous chambers and take it easy on the Mammoth Cave self-guided tour. 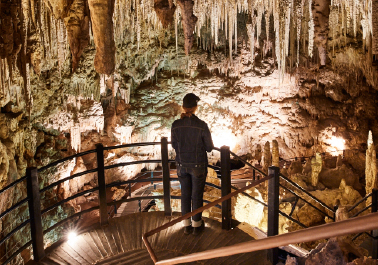 At Yallingup’s Ngilgi Cave (pronounced ‘nilgi’), you will learn the Aboriginal legend as you look up at limestone shawl formations or dwelve deeper into the cave on an adventure tour.